This is me, by me, for my daughters when they are far away from home. I miss them and want them to feel they can be close-by if they want. I write this for them and if you like the Blog, then welcome to my family. Well, I am firstly a mother and secondly a photographer. I live in Shetland, Britain’s most northerly outpost. I have ridden ever since I can remember but was given my first pony when I married, had 2 children and was in my thirties. 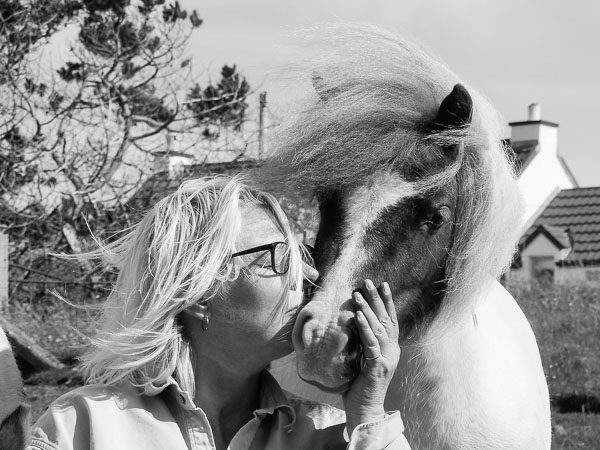 Now, two decades later, I have a few rescue and non-rescue Shetland ponies as well as some Icelandic horses for riding, training and breeding plus three pet sheep. Animals that need me seem to find me and I try to offer them all the best home with the most love. This is Thordale Stud. Home of The Minions. In between previously running a very successful riding and trekking school, and then subsequent carriage driving centre, I managed to revisit an old passion – photography. 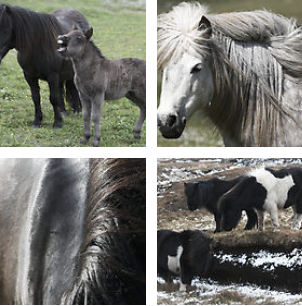 I specialise in capturing the inner personality of Shetland ponies, as well as the bigger equines I stumble upon. What else? Oh yes, sometimes I am recovering from some spinal surgery. 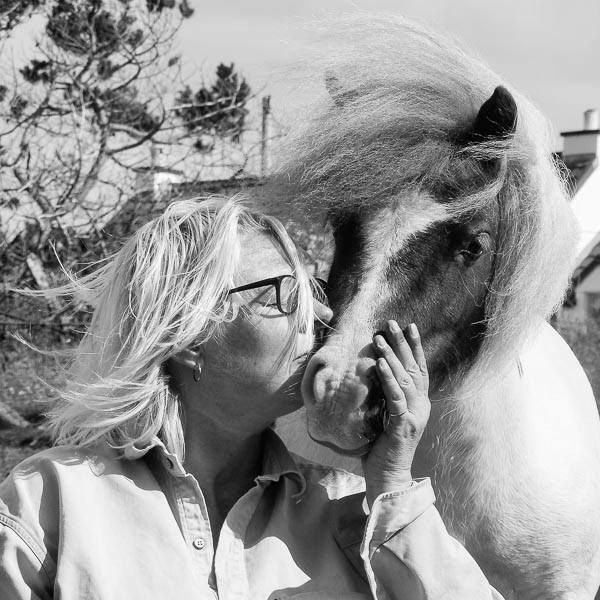 Life can be rather difficult and slow at times but I am trying to occupy my day promoting the Shetland pony in its natural environment. Hence this blog. I want you to see what I see in these brilliant ponies that never cease to bring a smile to everyone’s face. Oh, and you can follow me on Twitter and somewhere on Facebook too. I was delighted to see Socks going through his paces at Eshaness. I haven’t been there, though it is just around the corner. Congratulations to your daughter! I miss my horses – I’ve left them in retirement in Windsor. I miss them like mad, but I’m not brave enough to ride a pony! TB’s are easy! I’ve heard you are in Voe? Hello, I live in Walls – about 3/4 hour away from Voe. Socks lives in that area with his owners. Oh, you’re not far! We have Polos and are not scared to use them … May I visit some time? Don’t worry, I won’t ask to ride. Ponies scare the Bejasus out of me. They are so opinionated! First horse I ever fell, off (aged 6) Was Crackle. Or was it Snap or Pop? Icelandics . Last pony I nearly fell off was my friend’s Icey! My horse, Forry, is a film-star, too! Well, no, he’s not in Socks’ league. I bought him off the set of Gladiator. Most recently, he was in War-Horse. Foreigner is always in the chorus – never the leading man. Forry is 16.2hh and a Belgian Warmblood. My red horse. He’s not here, in Shetland with me. If you email me your email address, I’ll send you pix of his ‘film’ career. I just wanted to thank you for being SO generous with photos on your blog. I come here every day, just to see “the kids”! oh, Frances, a group of friends and I live vicariously through you! we LOVE the bebbies, BeAnne, Jack, and all the others. I know you have photos and bags on your Thorsdale site, but do you have the same of the bebbies? we just love them so and admire your work to get them back to good health. Thank you, hugely. Made my day! I was thinking about this but wanted the bebbie bags to be when they were 100% well and looking their best rather than scrawny! Did you see the Icelandic film About Horses and Men? Entertaining! Seamus and Sue er coming to Norway 8. August for my 60th. Are you interested in coming over?? . Ive just stumbled upon your website and tells a beautiful story. I’m a knitter and an intrigued and inspired by Shetlands knitting heritage. I have also had back surgery, although I feel very lucky to say mine was a success. Its still a battle though, staying pain free and keeping some semblance of fitness. It makes my heart sink when I hear the words “failed back surgery”. I do wish you all the best with your recovery and I will continue to read your beautiful blog. I’m putting together an expert roundup on horse blogging and wanted to reach out to you. The question is: What’s the #1 thing you love most about horse blogging. I’ll obviously include a link to your site in the post. Sharing my world with my friends. I live in South Australia and have a little Shetland cross I guess she would be. Apparently her Dam was a full Shetland and the sire was a miniature horse with lots of Shetland in him. Her breeder thought she looked more like a pony than a horse so she literally gave her away at age 2.. I got her at age 7 when I was 73 and she is the first horse I have ever had anything to do with. She has attitude, But, so do I! We have come a long way in 2 years, she from an untrained paddock ornament and me from a completely know nothing about horses. Period! We now do many different things from ploughing to carting and get along very well together. We are actually members of the South Australian Draught Horse Association – Well her ancestors were pit ponies. She thinks she is a Clydesdale if not somewhat on the small side. She will plough, farrow, snig logs and cart with the best of them and if she is in a paddock with the Clydesdales and they annoy her she simply walks “under” the fence, looks back as if to say, “lets see you try that”. Just thought you might be interested in the story. I LOVE YOUR SITE AND LOOK FORWARD TO IT. Lovely story. I know the fence look well! We have ponies that live in the hill (the scattald – or common grazing). They do belong to various studs who have hill rights (allowed to put ponies on the hill). None of these ponies are feral/wild or semi wild. They all belong to a stud and are brought home to foal, to work with and to show. The scattald is used for grazing sheep and ponies. has had four of the miniatures and I co-own one. Samson, who is only one left. Sad stories with Jack, Emma and Magnus who died from awful deseases, shall spare the readers. I like the way you describe your ponies, it is very entertaining and I can recognize things from the ponies mentioned. Jack was a lap-pony 🙂 when he was in the right mood he tried to clime onto ones lap 🙂 Magnus was naughty and it was always wise to know the whereabouts of his teeth…otherwise he might place them in unmentionable places 🙂 Emma was just sweet. And Samson is sad to be without them. Please come and visit us if you are in Shetland. We would love to meet you too. Hi frances, would it be OK if I could pick your brain sometime about keeping horses in Shetland? Looking to move back after 20 years and desicions need to be made about my current horses. 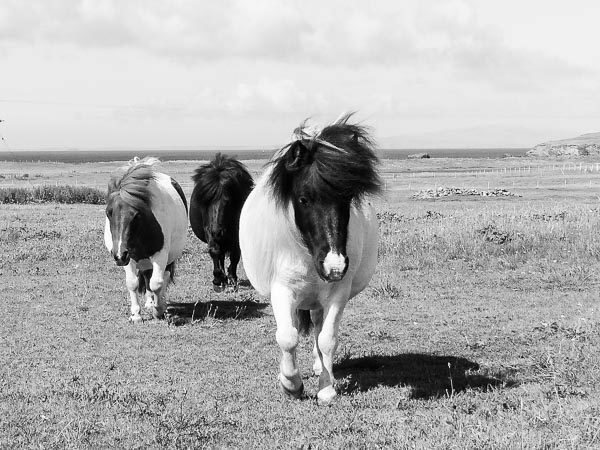 I love Shetland ponies. They have such a cheeky fun character about them. I used to love riding a Shetland pony called Stary when I was younger and had so much fun on her. Loving your blog about yours. I’ve just discovered your blog and I love it! Your pics are amazing! What camera do you have? I love you blog and have been following it now for over a year. Please keep it up!! that you posted on August 3, 2015 as a basis for a painting? The painting would be for my own personal use. I will! It may take a bit to complete! Hello ,I have to say that I love your blog .l am from Glasgow and I moved to Shetland about 2 years ago with my family,and one of our favourite things in Shetland is seeing the ponies.There are quite a few ponies around were we stay and we visit them often unfortunately the three wee ones we have grown attached to recently are heading to Aberdeen as I speak which is making the whole family even Peggy the dog feel sad.I am not a horse rider by any means but an animal lover and reading your blog has put a huge smile on my face today . Thank you. I have been following you for over a year now, you have one of my favourite blogs. stressed back. My thoughts are with you, and Tiddles and also dear Beanne. Hi and Greetings from California, USA – I just had Google Chrome installed so I could read your blog (and everything else Shetland as well). As a horseback rider (and owner of a QH), I love that you have this wonderful horses. Big or small, horses are just the best! Hope to visit the Shetlands next year in September and perhaps I’ll get to meet some of the horses then. You’re a wonderful writer and photographer; I’ve just so enjoyed pouring over the blog and going back to read older posts. I have managed to follow you through your photos and blogging for wuite a few years, and love hearing about your curries and life. I also have 2 Shetlands and a welsh, and live in South-East Australia. My great-grandfather emigrated to Canada from the Orkney’s. how much Newt’s coat has changed. Glad peace has prevailed. Francis, I am coming to Shetland and want to meet you and your animal family! So excited, having read your blog for years. Colleen McNamara is my friend, who’s taking care of my animals while I’m gone, i know she emails you. I’m arriving in Lerwick Aug 21 with a knitting group and have a free day Tuesday Aug 28. I’m staying at the Lerwick Hotel, I’ll also have my cell phone for calls, text and email. Could we meet on that day? So looking forward to hearing from you! My email is cnossiter@yahoo.com. Can you phone me on +0044 (0) 1595 809 432 nearer the time. If I am here, I would love to meet you and show you the ponies. Are you hiring a car? You may need to, though the bus does get to within about 5 miles of us. However, I am not driving at the moment (leg and drugs). Hello Frances, I have enjoyed your blog for a number of years, seeing & hearing about your family warms my heart, each and every one of them so special. I live in Shetland and have rescue dogs, little(ish) ones but all big characters. Please could I ask for some pony advice? I sought permission from the owner to give an old pony a couple of carrots & apple, he (the pony) thoroughly enjoyed the ‘treats’ which I’ve given on a daily basis for about 6 months. The pony has recently been showing (what I think is) aggressive behaviour when I have been giving the chopped up morsels. ‘Striking’ and ears back, flat against his head. I don’t know whether I have inadvertently frightened/alarmed him – he has shown this behaviour a couple of times now. He comes when I call him and the food is usually in a small blue plastic bag which I tip out into his field. I don’t hassle him or try to touch him and have left him to eat his treats in peace. What have I done wrong? Hello, I doubt it is anything you’ve done. Others may be visiting and feeding too. I would perhaps be wary of feeding a pony that is prepared to bite the hand that feeds. Come and see the Minions when the weather dies down. Thank you Frances, I stay in Unst and when there is a drier spell (as if!) I would love to see them. I fed the pony (he’s about 20yrs old) twice today and he was ill behaved the first time but not the second. I asked a crofter what they thought and they suggested he could be catching the ‘scent’ of a female in a nearby park and it could be unsettling him. I have no idea what is going on but it’s a bit upsetting that his behaviour has changed – he always seemed pleased to see me (he doesn’t have any companions) and I was able to go into the park where he used to be (to pick up some glass and plastic I saw) without any trouble. I obviously won’t go into where he is now? I am not pony educated so I guess it will remain a puzzle!! I love your comments and emails!